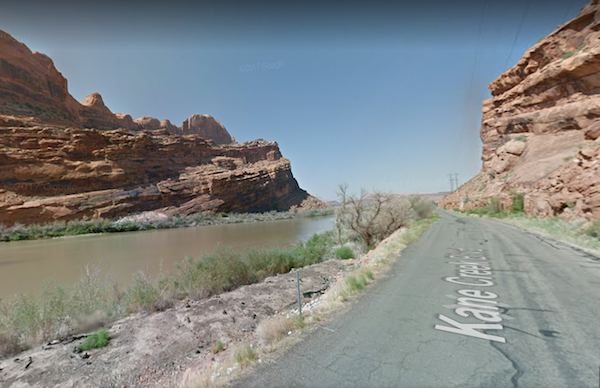 Very nice, flat running along the Colorado River near Moab. Wonderful water views and spectacular surrounding scenery. Kane Creek Blvd. is on the south side, Highway 279 on the north side…and no bridges for loop options. Kane Creek Blvd. Some nice sections right along the water on the south side of the river. From the center of town, it’s 1.5 miles to reach the river, and then another 3+ miles to Kane Springs Canyon. Highway 279. On the north side of the river. Also a nice road, with some lovely sections along the water. A bit busier, but wider and more of a shoulder. It’s nearly 7 miles from Little Arch to the Corona Arch Trailhead. Trail running option: At Kane Springs Canyon (south side of river), Jackson’s Trail offers one of the more popular trail running spots in the Moab area.